Brussels July 13 (IANS) The North Atlantic Treaty Organization (NATO) nations decided on Thursday to sustain their presence in Afghanistan and fund Afghan security forces until 2024. 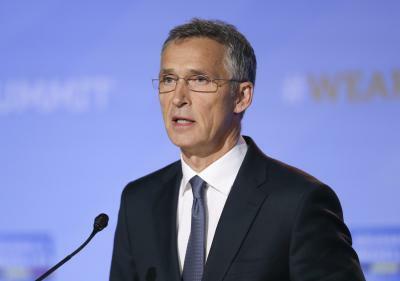 "We decided to sustain our presence in Afghanistan until conditions indicate a change is appropriate " Xinhua quoted NATO Secretary General Jens Stoltenberg as saying after the organization s two-day summit in Brussels. "And we extended our financing for Afghan security forces through 2024. This will help them further develop their special forces and air force as they continue to fight international terrorism " he added. NATO also expressed strong support for Afghan President Ashraf Ghani s peace proposal. "We fully support the Afghan government s aim of reaching an inclusive peace agreement with the Taliban " the NATO summit s joint statement on the Resolute Support Mission in Afghanistan reads. NATO leaders in the statement reiterate their call to the Taliban to engage "credibly" in the Afghan-led peace process and stress that this is the "only pathway" to a sustainable resolution of the conflict. "Our continued commitment will strengthen Afghanistan in its efforts to create the conditions for lasting peace and reconciliation " said the NATO chief.